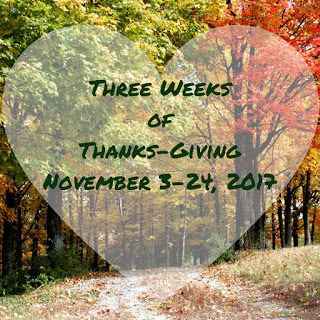 Our Three Weeks of Thanks-giving for a teacher that inspired us brought back a lot of memories. I went to a small school, which means there was only one teacher per subject. And unless they quit and were replaced, we had the same teachers every year. That is a good thing, if you had a great teacher. It is not a good thing, if the teacher was not so great. Without naming a name here, I can tell you I had a math teacher that could really DO math. But she could not explain to me how to do it. So I don’t feel as though I learned much about math. Surely it had nothing to do with the fact that I hated math and looked upon a word problem as if it was the very essence of all things evil. Yet, somehow I learned enough math to get into and succeed when I went to school of Radiologic Technology-which I found out to my dismay-would require lots of math. I have a theory that people are either “numbers” people or “words” people. I’m a “words” person. From the day I arrived on the planet I loved books, so English and Literature class was a good fit for me. But aside from that natural bent, I had two excellent English teachers. I can still remember the excitement Miss Jordan generated in class for Roman mythology. When Miss Jordan left, Mrs. Thurmond took her place. Her passion for literature showed through every day, in my memories I can still hear her reading poetry to us. It was also in her class when I delivered my first “speech.” No one in the room would have ever guessed that I would become a public speaker and book author. Click here to find out how to enter to win the book Pet Crazy. Love your closing words, Carla. Carla, I think you should teach a class on how to write succinctly. That’s a challenge in and of itself—offer a master class! Marti, you are one of the lucky ones to get the numbers "thing" along with the words! I really wish I had. However, I can figure out how much a 40% sale means to a blouse at Chicos. Ha. Thank you April, for that kind comment. I've never really looked at my succinct writing as necessarily a good thing. Especially when I read beautiful flowery passages from other writers -including my fellow TAs. I need to figure out how to offer some sort of class to help make a living in this rough business! My Thanku to Sue (Alexander)!